But, how do you keep your kids busy with toddler activities so you can finally start your blog? While my twins have each other to play with, most of the time they argue during toddler activities (mostly over what to play with since my son loves Rescue Bots and Batman while my daughter is into LOL Dolls and Barbies), so I’ve had to come up with clever ways to keep my children occupied so that I can have more time to grow my blog and income. 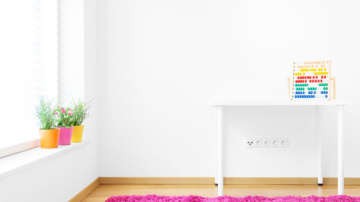 There are a lot of stay at home moms that want to start a blog – and you should! – but may have some apprehension if it’s really possible to start a successful blog with a child or small children. 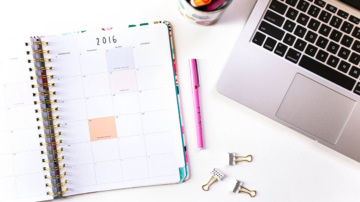 You have to manage your time around your blog day to day as a mom. I have set blogging times and mom times. This helped me create a blog planner of sorts. This year, my twins started kindergarten, so I do have more time to blog, but summer is coming! For many moms, the summer is hectic, crazy and busy. How can you work on your blog during the summer when you have kids – or twins – to entertain with indoor toddler activities? In this blog post I give you 21 fun ways to keep your toddler or child busy with tried and trusted indoor toddler activities while you work at home or during the summer – while you blog. A warning – a lot of these activities can be messy. These activities can also be for smaller children, but you have to be near them at all times. I tended to stay in the kitchen while my twins played or in the living room with my laptop! I also give you 56 blogging tasks and self-care tasks you can do in 5, 10, and 20 minute chunks of time. See if you can use some of these activities to keep your little one busy while you work! Interested in starting your very own mom blog that can make money? I’m here to help you! Check out my free course on starting a blog! Have you seen these busy books on Pinterest! 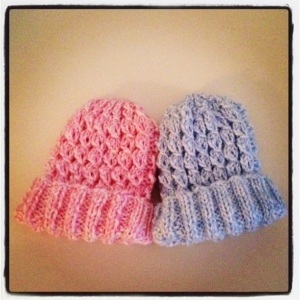 They’re darling and so cute and can give you at least 15 minutes of blogging time! I prefer the no sew books like the one from Uplifting Mayhem. When I worked with special needs children I used to make file folder activities and these work similar to the busy books that you can give to children as young as 3 years old! My twins love playing with ice cubes. Whether it’s the dead of winter or in the middle of summer, I just need to give them bowls, ice cubes, cups, and spoons and they can go to town for a good 20 minutes! I haven’t done these experiments yet, but they look amazing, don’t they? My twins are five years old, so these experiments look like they should be good if I modify them for my twins or supervise. I think I’ll do these experiments with them first and then probably give them dish soap, food coloring, and water and let them have fun with that while I blog for a bit. When my twins were little – 2 or 3 years old – I had a sensory bin made up of beans, spoons, and cups. My twins never ate the beans – they actually never put little objects in their mouths – and they just had fun exploring textures. I would sit next to them with my laptop and get a good 30 minutes of work. If you come across a cardboard box, hand it over to your child or children. They will have a blast designing and playing in a box. My twins use them for rocket ships, forts, hiding places, grocery carts and more. I love Cas from Clutterbug. She has great ideas to keep kids busy all day long. One of her tips is the stay, play and walk away approach to playing. What you do is set up an activity, and you stay with them for a few minutes playing. Then, when your little one is absorbed in play, you step away. I’ve done this with my twins, and they don’t even know I’m gone for a good 10 minutes! And, even when they do realize it, they keep on playing! This is a great indoor toddler activity for closer to 4 years old but can work for younger children if independent play is strong. What kid doesn’t like water? When the day is long, and I feel I did nothing that day, all I have to do is fill up the bathtub with a little bit of water, put some fizzy bath tablets in the water and give my twins bath markers and their toys and they’re good to go for a 45 minutes at least! It gives me a mini-break (even if I am in the bathroom with them!) and I can blog! When the weather is cold, it’s tempting to sit all day and stay in the house, but that’s not healthy. Instead, why not use some activity DVDs and have a dance party? If you have little ones – under 2 years old – Elmocize can give your some distraction-free time while your little one has fun running around! My twins are always asking me to build them a fort. We have big comforters, and I can make a decent fort for them! The twins pretend it’s a cave or a secret hiding spot and I can get at least 15 minutes of work time! Use a visual timer or hourglass and give your little one some quiet activities like a busy book, file folders, puzzles, legos or blocks and see if you can get at least 20 minutes of solid work time. For some children, this may not work. My twins had a hard time with quiet time, but I know for other moms, it worked, and they could fit a chunk of blogging time. My daughter LOVES playdough. Her favorite is the My Little Pony set and the food + oven set. When my twins were younger – around 3 years old – I usually played playdough with them since they needed help using these tools. If you want some independent time, I would avoid using sets and just use cookie cutters and plastic knives for play. But, if your child is four and older, playdough sets can keep your little one entertained for a while! If mess doesn’t bother you, then let your little one have fun with paint! I give my twins poster board and paints and let them create their masterpieces! And, if the mess does bother you, my twins also enjoy using water paint! If you have older children – 4 or 5 year olds – why not give them some paper and scissors? I can be in the kitchen getting supper ready, and when I turn around I see my daughter snipping away on a scrap of paper. It dawned on me that if I gave her paper to cut, this could occupy her time with this indoor toddler acitivty – and give me kid-free blogging time or cooking time! If your child is older – 4 and up – a ball of yarn is sure a lot of fun! I found this by mistake when my twins decided to raid my knitting bag! 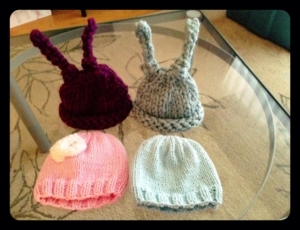 They pulled out the old yarn I used to make their baby hats (Yes, I amazed myself with my beginner knitting skills!). My twins would try to unravel the yarn or make a maze with the string. It was messy, but it gave me time to work! I sometimes use puzzles as an independent activity, but I usually end up playing with them since they need help with the more advanced puzzles (since other ones are too easy for them and they finish in a minute!). But, for little ones, this might be a great activity to keep their hands busy and give you some time to focus on your blog. When my twins had soccer in the spring, I would make them popsicles for after the game. I realized that it takes them a good 15 minutes to eat them! Time to blog mama! This is sort of a sit, play and walk away activity but why not give your child’s snack as a picnic in the living room? Set up the blanket and have them invite their stuffies and give them their snack in some fancy china? I don’t know about your child, but if I lay down a whole bunch of pillows, blankets, stuffies in the middle of the living room, my twins would find something to do with them! Did you know you can make your own lacing cards? Powerful Mothering has a simple tutorial with materials you probably have around the house! There will be days when nothing is going right. Your little one spills his milk on the rug right after you tidied up the living room. Or, your dog ate your shoe or your little one is teething, and nothing works to console him or her. First, give yourself some grace! You know during those tough days, you are not a mom blogger; you a mom first. Be a mom and have intent to have a mom day. I have days like this all the time, and while I do get frustrated, I’ve learned to embrace it and give myself grace. 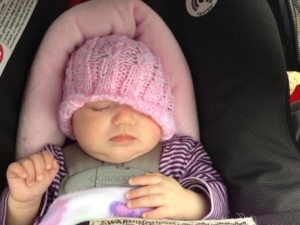 This may be hard for many moms – it is for me! But, I had to learn in the first year of having twins that I NEEDED the help to be a happy mama. I’m fortunate to have my husband work at home with me, so we divide our time to helping around the house and taking care of our twins. There are days when my husband doesn’t touch his computer until 5 pm and, there are days when I only get 30 minutes to work on my business. It happens, but if you can get help – take it! My in-laws come and play with my twins for the afternoon. Maybe you can ask your neighbor, a young girl down the street or family to play with your little one once or twice a week. Offer to cook them supper in return! And if all else fails, have device time. I feel it’s important to teach my twins how to use technology as I know this will be a big part of their lives when they grow up. And well, if they see mom and dad on the laptop, I can’t discriminate, right? I give my twins iPad time when I need time to myself so that I can be a better mama to them! There will be days when you can only fit five minutes here or 20 minutes there. What can you do to push your blog further so that time is not wasted? Here are some blogging tasks you can do on the fly and tasks you can do when you have more time. Indoor Toddler Activities So You Can Blog Mama! 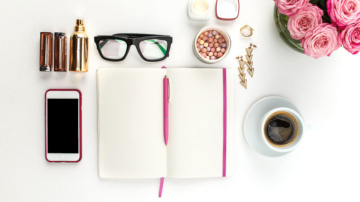 Running a business and blog is a challenge, but it can work out! I hope you find these activities to keep your child entertained and busy helpful! Let me know mom blogger, what YOU do to occupy your child’s time so you can blog! I want to know! 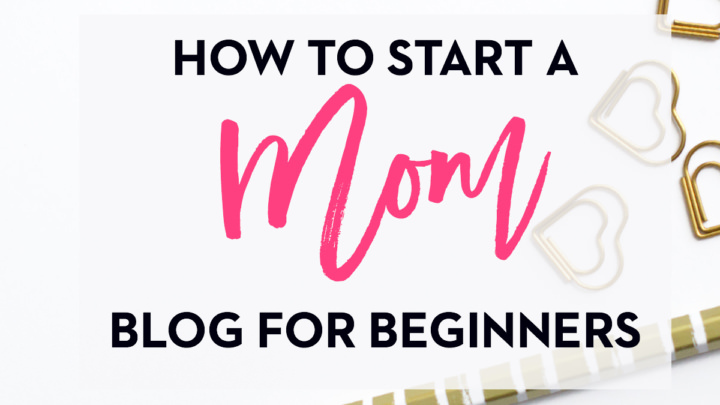 Have you started a mom blog? Learn how easy it can be! Ty for the tips about the lacing cards. Wow, Elna! You are amazing! These ideas are awesome and everything is right there IN THE HOUSE! Such cute, clever, creative and fun ideas, but I want to play tooooo!!! Ha Ha!! My grandchildren are 1 and 2, and just say water ANYTHING and they will be occupied forever! LOL! They are so cute, and I can’t wait to give your website and this article to my daughter and my daughter-in law because they are going to LOVE YOU! Aww thank you so much! I love finding ideas to keep my kids busy! They are really a handful 🙂 My son is really digging the science experiments now! Thanks for sharing this with your family! I love your idea to use some activity DVD’s and have a dance party on a cold, rainy day. 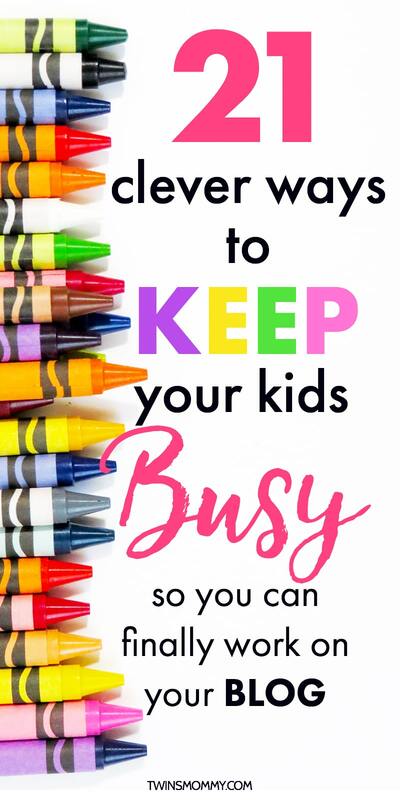 My sister has four young kids, and she’s really worried about keeping them busy throughout all of the long summer break. This is a great idea to keep them active and healthy. I wonder if they would enjoy going to a summer camp for a little while. That would also really help them stay active and healthy, I’m sure. Thanks so much! I’m glad this is helpful for your sister. I’m looking forward to doing a lot of these activities with my twins! Elna, this is one of the most helpful blog posts I’ve read in quite a while. I keep my one-year-old grandson during the day, so it’s quite a challenge to get very much blogging work done. If I’m on my laptop, he wants to play with it. But if I try some of these activities with him in his highchair, I think it just might work! I’m a huge fan of yours, by the way. You’re always sharing relevant content. Thanks! Aww thanks so much!! Glad you found this post inspirational and helpful! I love this post too as I “forget” a lot of things that I already know! I know my twins are waiting for those science experiments that I’ve told can only happen outside! It’s finally getting warmer so this will be a fun thing for sure! I love the ‘stay, play and walk away’ idea! The idea of giving kids uninterrupted time to really get into something is a key principle of Montessori. Just like we need some uninterrupted time to get into a workflow so do they! I used a pouring activity today with water/food coloring/ice cubes and got an article finished, yay:) I’m collecting ideas like these over at my blog and these are perfect thank you! Yes! I love that idea too. Kids get so absorbed and then forget about you!! Plus, you get that 1:1 time with your child. I can’t wait to do the science experiments with ice cubes and food coloring! It isn’t hot enough over here yet! Fabulous tips! My little one is entering toddler years and it is getting harder and harder for her to keep herself busy! I HAVE to ask where you got the stock image for your blog title! It’s so hard to find stock images that are kid related! Oh my gosh – this is gold, Elna!! I’m always looking for ideas like this. Mostly I set out a tuff spot on our kitchen floor and pour in something like uncooked lentils, couscous, rice or porridge oats and let my little one play with spoons and cups etc. He spends ages pouring, measuring and scooping. I’m going to try the busy book idea, though. That’s perfect. My twins loved the sensory table I created when they were little. Then in the summer it turned into a water table outside with colored ice cubes and cups and squirters! Whatever to keep them happy and busy, eh? Ha! Oops!! Yeah, I wasn’t too keen on them unrolling my balls of yarn but I watched them closely and they used it as a maze or leash so it was quite fun watching them! Elna this list is amazing! My mom made me a quiet book when I was little, which I actually still have. I love the no sew ideas though! I am home with my toddler all day while my nine and eleven year olds are at school. With her being so much younger, I have to admit I am not as good as I was with the older two about setting up activities for her to do. Which I often feel totally guilty about! Think this will be a goal of mine this spring/summer. Although right now she is playing with a spool of ribbon. So funny what keeps them occupied! I pinned this, but am going to print it off and add it to my blogging binder as well for easy access. Thanks for the great ideas! Thank you so much!! That’s so cool you kept your quiet book from childhood. I still have old diaries from when I was young! It’s fun looking back to what you did back then! You’re right about what keeps kids occupied. I swear, that ball of yarn was the BEST toy for a few days, but trying to clean it up was hard! Had to use scissors to break up the two balls of yarn all over the living room furniture! Ha. Right now, my twins are into doing b-day parties for their stuffies. It’s a big ordeal. First, they write out the invitations which is awesome since they are learning to write. This alone takes a good 20 minutes. Then, they wrap presents (toys they have) in wrapping paper or paper bags. This also takes a good 20 minutes. Then they hide the toys, round up the stuffies and I join them in lighting the candle – yes a real candle – and we sing happy birthday to Blades or Twilight Sparkle or whoever. The kids blow out the candle and then they go hunting for the toys…another 20 minutes! It’s amazing! I hope your little one has fun with some of these activities! Thanks so much and you’re welcome! Yes, sometimes I only have 5 minutes here and there to do something productive for my blog! It’s nice thinking of quick tasks to make you feel productive for sure! Ha, yes, a lot of these activities are messy but, you have to weigh the costs! Thanks for stopping by!